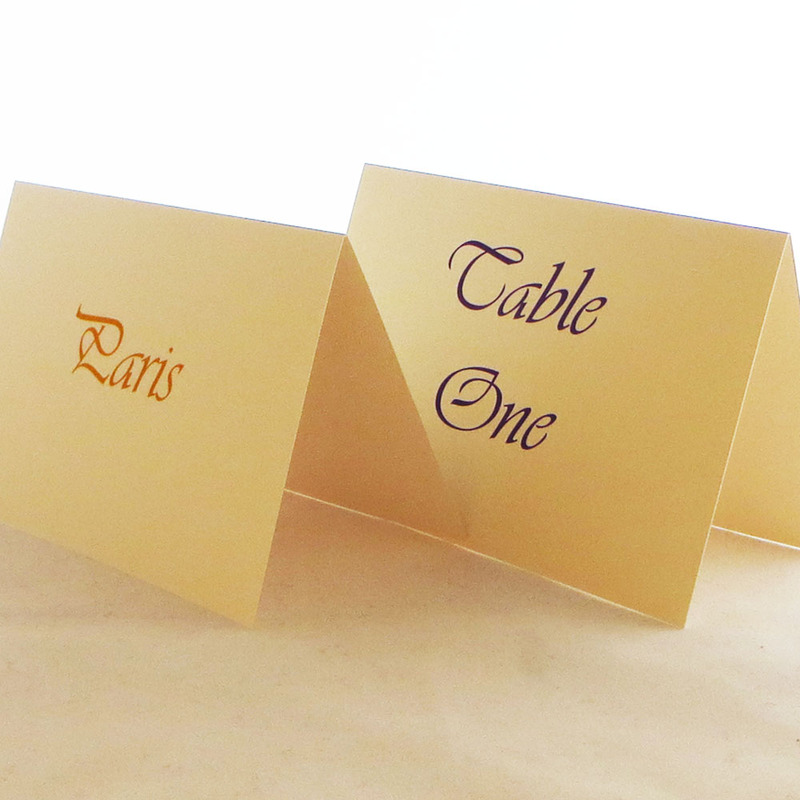 Free standing table numbers or table names for your wedding breakfast tables. Digitally printed one side onto 300gsm white or ivory smooth card. Tent fold along the long, top edge and measuring 10.5cm high x 14.8cm wide when standing on the table. 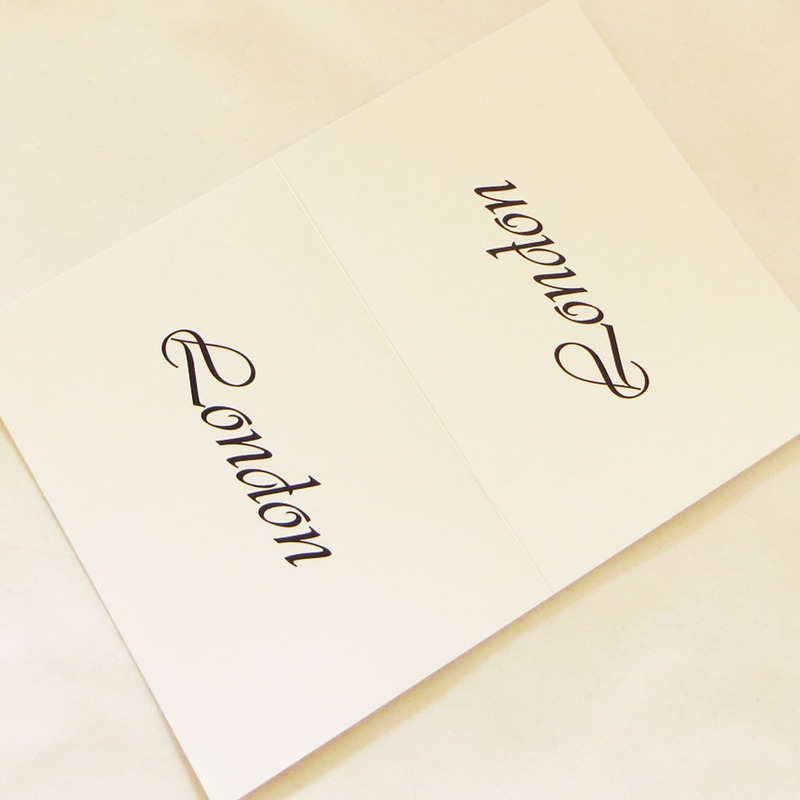 You will see the table number or name on both front and back faces of the card when they are folded. 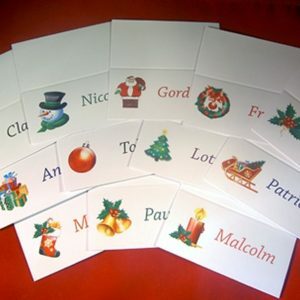 Cards will be scored and packed flat for safe delivery to you. 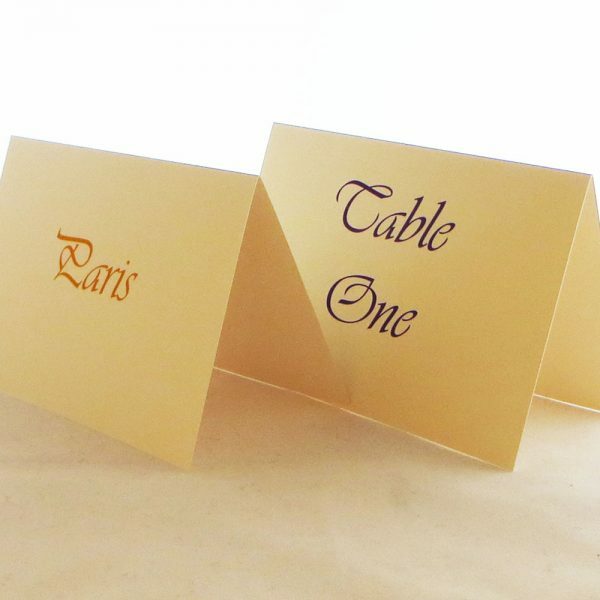 You can order either table numbers such as table one, table two etc or with table names that you have chosen which are special to you. 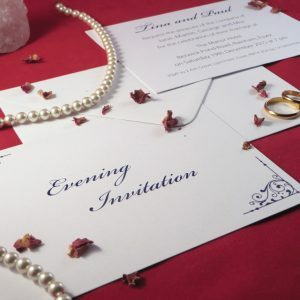 Great table name ideas include special places, trees, herbs, countries, movies, songs etc, just think of something that is meaningful to the both of you. Suitable for weddings and wedding anniversaries where you are providing a sit down meal for your guests. We will automatically use the font in the picture but if you have a preferred font please advise and we will try to match it. If you have supplied table names then before printing a proof will be emailed to which you can request changes. We will not print your order until you have given us your approval. This design reference is TN02 you will need this to fill out your details. 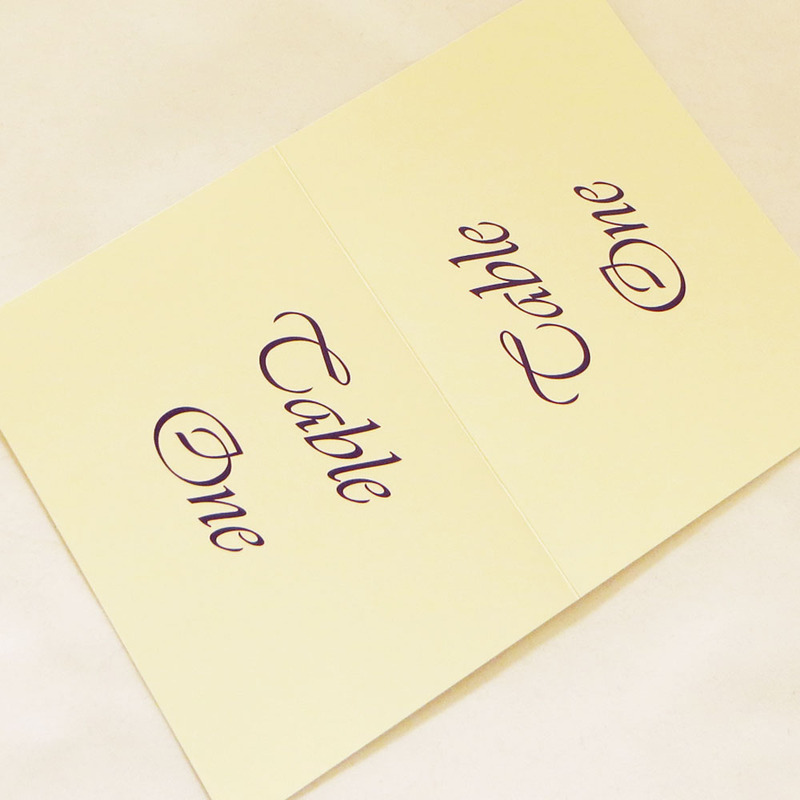 Your table range i.e Top Table + No’s 1-6 perhaps or a list of table names. 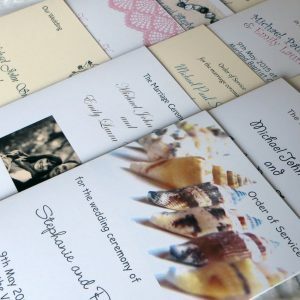 Wedding details if required on the cards (e.g. Ian & Joanne 23rd June 2012). 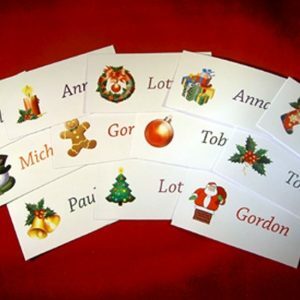 Any other information that you would like on the cards. We strive towards an excellent service for all our clients and aim to accommodate wherever possible your requirements. 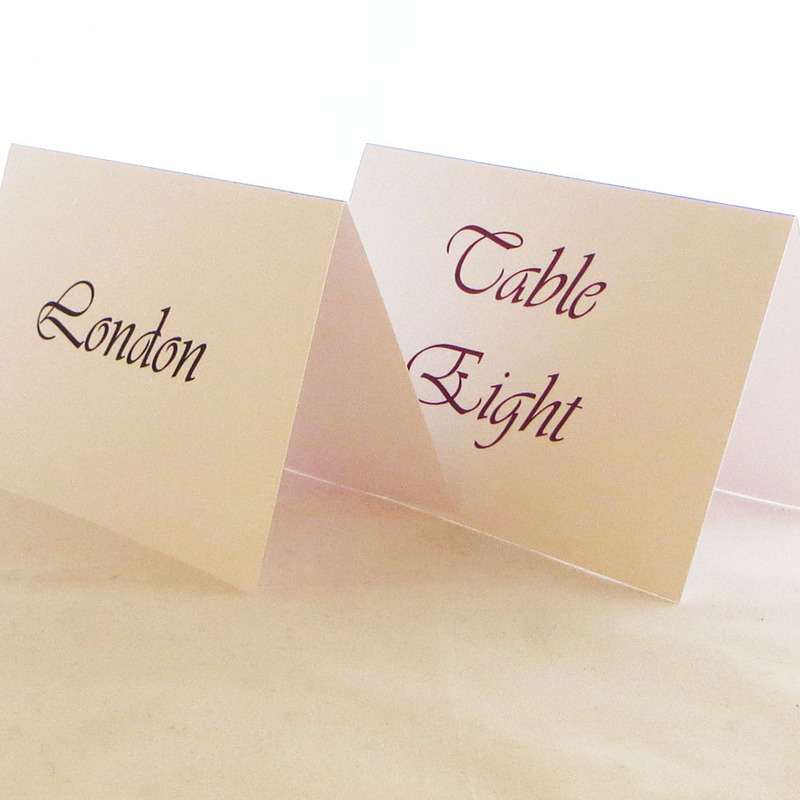 If you need your table numbers / table names in a hurry please contact us before you order. These are low resolution photographs and the colours may look slightly different on your computer according to your screen settings. Should you have any queries please do not hesitate to contact us quoting TN02. Top job, very happy with quality.